Children will love owning one of these fun zipper pouches that have the face of a tiger. They can store all kinds of school supplies in them or some of their smaller favorite toys. We love that there is an option to add glasses to the tiger, so if you are making this for your child for their school supplies, then you can add glasses to match their own frames if they wear them. The pattern could also easily be adapted to a cat instead of a tiger. Leave off the tiger stripes and sew on whiskers instead. Hand stitched whiskers could look cute. 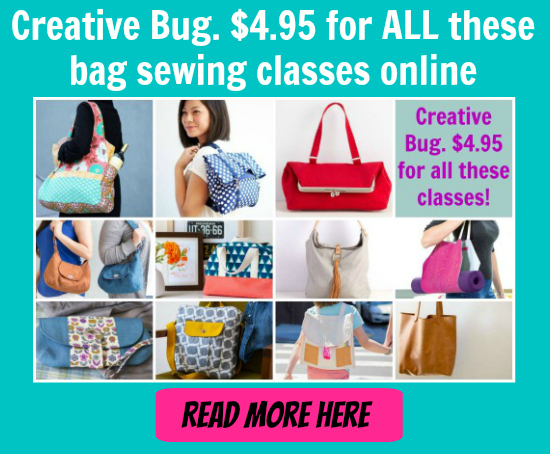 These zipper pouches are fully lined and can be completed by a confident beginner sewer who has the knowledge of some basic sewing skills required. It’s the perfect pattern for a beginner who has never sewn a zipper before. Final measurements of the zipper pouch are approximately 6.5″ by 9″.